Palmer's was founded in America in 1840 and is a leading brand for skincare especially known for its Cocoa Butter Formula. Majority of Palmer's products are free of parabens, phthalates and sulphates so consumers can use in peace. 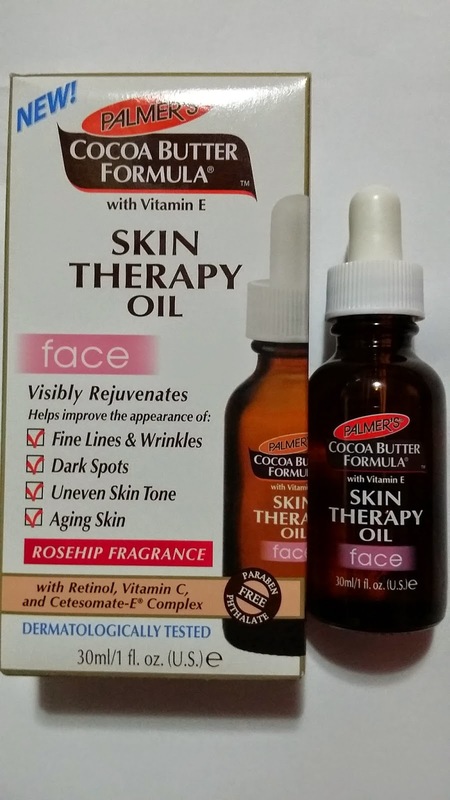 Let me introduce the Palmer's Skin Therapy Oil for Face to you. It is a multi-purpose skin perfecting oil and is age-defying. Its lightweight formula helps to repair past skin damage, restore and brighten skin tone and texture. If you are interested in anti-aging, Palmer's Skin Therapy Oil also reduces lines, wrinkles and moisture loss. Some examples of the natural oils used are Pure Coca Butter, Sweet Almond Oil, Coconut Oil and Macadamia But Oil. Other than that, there is also Retinol and Vitamin A for cell renewal and anti-wrinkle, Vitamin C as anti-oxidant and brightens skin. 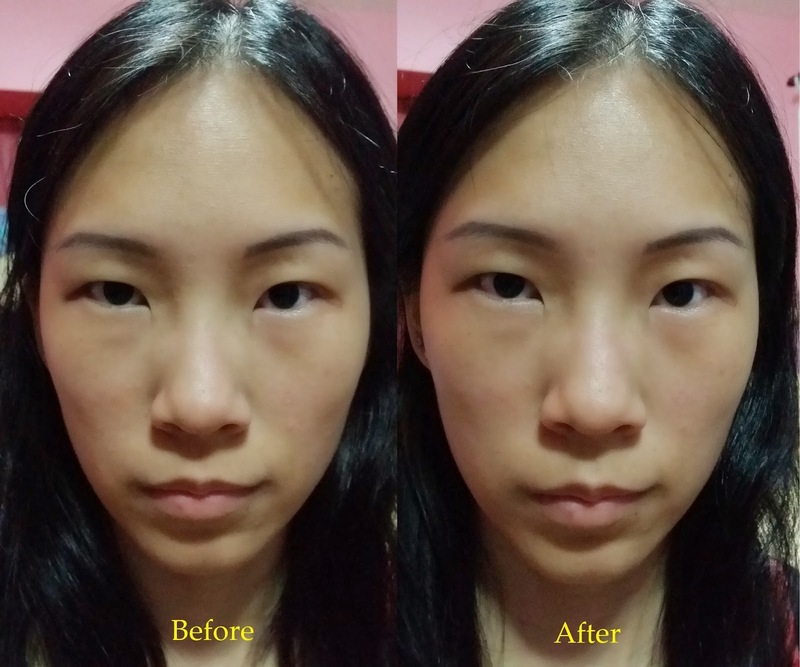 Let me show you the before and after. 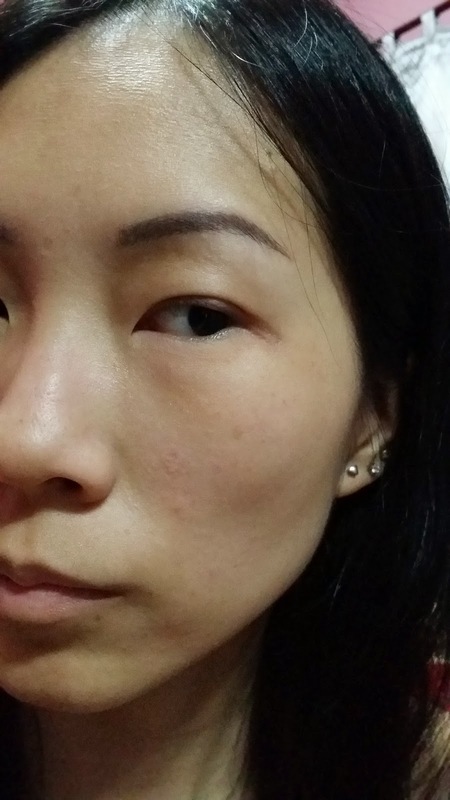 The Palmer's Skin Therapy Oil gets absorbed into the skin fast so I didn't feel greasy at all. It is easy to apply and smells good. If you wish to try before purchase, do click here to redeem a sample from Sample Store. You can now purchase Palmer's Skin Therapy Oil from leading personal care stores at $29.90 for 30ml. There is a contest happening if you purchase the retail-size Palmer's Skin Therapy Oil from Watsons's physical or online store. Simply take a selfie with the retail-size Palmer's Skin Therapy Oil and post on Instagram with #Palmers #PalmersSG #PalmersSTOFace from now to 25 April 2015. Winners will be announced on 30 April 2015. Good Luck!